Combined with the special moments you encounter during high school, these teen beauty tips will help you look your best. If you are the parent of a tween, or are one yourself, then you know it’s quite popular for girls to start wearing makeup as young as 5th or 6th grade. When you are this young, a lot of makeup isn’t necessary. Tween girls tend to wear heavy cosmetics because they haven’t learned any differently. An important thing to realize is that you possess so much natural beauty at this age; it would be a mistake to cover it up. When you are in junior high, try out some tinted lip-gloss and perhaps some eye shadow and mascara. Don’t cake on beauty products because it will seem as if you’re trying too hard. 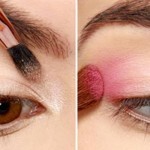 Keep the makeup experimentation for the time you have at home or at slumber parties. When you are going to school, keep it light and natural. Eyeliner is a tempting commodity for a lot of girls this age. Start out with a pencil liner and stay away from the liquid type. Using liquid eyeliner before you have experience with eye makeup will cause you to look like a raccoon rather than a gorgeous girl! In high school, you will have a little more freedom with experimentation. Now that you are old enough to go out with your friends and date at night, you may want to invest in some darker, more dramatic makeup. Now’s the time to enjoy shimmer eye shadows and liquid liners. While adding more makeup to your daily routine, keep in mind that too heavy of an application can have adverse affects. You want to look gorgeous – not as if you are trying too hard. Having acne as a teenager can be a devastating situation. It not only takes a toll on your looks, but also your self esteem. If you are acne prone, foundation may not be your best bet. It may seem like common sense to turn to a thick layer of foundation for help, however it may actually draw more attention to your bad skin. Instead, stick to concealer topped with translucent powder. Wearing too much face makeup can make your acne worse, clogging your pores and not giving your skin a chance to breathe. Less is more when it comes to acne prone skin, so let go of those temptations to cake on the cosmetics. In high school, you don’t have a lot of your own money to spend. Instead of wasting it on fancy makeup removers, go pick up a jar of Vaseline. Inexpensive and good for your skin, Vaseline will soften your skin while removing pollutants at the same time. If you are finding your skin is exceptionally oily or dry, don’t be afraid to seek the help of a dermatologist. Many people avoid going to the doctor and risk scarring and other skin damages that could easily be avoided. Dermatologists can often give you good advice regarding your skin that others can’t. Put off those other expensive purchases if it means you will have the money to go to the doctor. Taking care of your skin now will certainly pay off when you are older. It is important to purchase high quality cosmetics whenever you can. 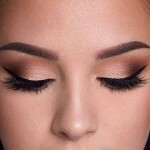 When it comes to putting makeup on your skin, it is best to spend a little more to make sure you are getting quality product. If you are buying an item that you can test first, be sure to do so. Check to make sure it matches your skin tone. You don’t usually have to test mascara or other eye makeup, however it is always a good idea to give foundation and lip color a trial run. Lastly, be sure to wear sunscreen everyday. You may not have to worry about wrinkles now, but it’s good to stay ahead of the game and do some preventative work. You will be pleased with your skin when you are in your 30s if you start taking care of it now during your teenage years. Being a teenager is a great time to begin discovering how to achieve real beauty through cosmetics and proper skin care. Enjoy this time and be bold enough to really explore and give those new looks a try.